Patron-driven lease – the answer to inter-library loan for e-books? 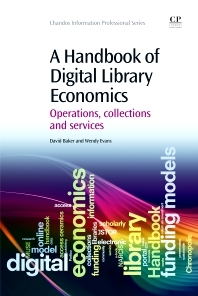 This book provides a companion volume to Digital Library Economics and focuses on the ‘how to’ of managing digital collections and services (of all types) with regard to their financing and financial management. The emphasis is on case studies and practical examples drawn from a wide variety of contexts. A Handbook of Digital Library Economics is a practical manual for those involved – or expecting to be involved – in the development and management of digital libraries.